Car accidents can happen when we least expect them, and they can occur on busy freeways or on quiet backroads. Because of this, it is essential for drivers to remain attentive and follow traffic laws at all times. By doing so, drivers reduce the risk that a serious accident will occur. On May 23, The Worcester Police Department received a call about a two-car accident around 4 in the afternoon. The accident occurred on Sturgis Street, and police and other emergency personnel responded to the scene shortly after receiving the call. 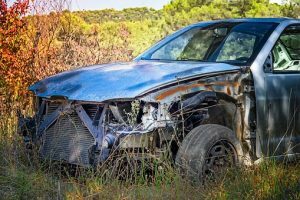 Car accidents can be extremely devastating, and it is important for all drivers to remember the duty of care they have to all others on the road. When driers act negligently, they are putting others at risk, and they could cause a serious accident. We at the Law Offices of Jeffrey S. Glassman see the impacts and tragic consequences of car accidents daily. Since we are concerned members of our community, we urge everyone to remember their responsibility to drive safely when they get behind the wheel. Accidents can happen to even the most attentive drivers. When these accidents occur, we will do what we can to help victims receive the help they deserve to return to their lives.